The possible downfall of the Mubarak regime is being watched closely in neighboring Israel. Dan Ephron in Tel Aviv outlines the four main areas of concern. The possible downfall of the Mubarak regime is being watched closely in neighboring Israel. Dan Ephron in Tel Aviv outlines the four main areas of concern. Plus, full coverage of the Egypt protests. The possible end of the Mubarak era in Egypt poses serious worries for Israel but, perhaps surprisingly, a renewal of tensions on the border between the two countries is not at the top of the list. Israel fought four all-out wars with its neighbors before it signed a peace agreement with Egypt in 1979, and has fought none since then. Isolation: Not since the 1970s has Israel felt so alone. Its attack on an aid ship headed for Gaza last year cost Israel its alliance with Turkey, which included joint military maneuvers and intelligence sharing. Jordan, the second country to make peace with Israel after Egypt, has meanwhile snubbed Prime Minister Benjamin Netanyahu for not being more accommodating on the Palestinian issue. Even the relationship between the U.S. and Israel has become increasingly chilled. Not since the 1970s has Israel felt so alone. Leakage: Egypt shares a border not only with Israel but with the Gaza Strip, ruled by the Islamic group Hamas, a Palestinian offshoot of the Muslim Brotherhood. Already, guns and rocket launchers flow from Egypt to Hamas under the border through a network of tunnels dug by Palestinians. Mubarak’s regime has occasionally tried to disrupt the supply, but not very effectively. Spending: The global financial crisis has largely bypassed Israel, whose economy grew by 4 percent last year. With violence down to almost zero in the West Bank, Israel is more prosperous than it’s been in decades. But the uncertainty in Egypt is already being felt. The Tel Aviv Stock Exchange dropped by several percentage points in recent days and the shekel has grown weaker against the dollar. Even if Egypt stabilizes, analysts believe the Israeli military will have to retrain and re-equip itself for a range of new scenarios—and that means more defense spending. In the decades since the peace agreement with Egypt was signed, Israel cut its defense budget from more than 20 percent of GDP to less than 10 percent, according to Shmuel Even, an expert on military spending at the Institute for National Security Studies at Tel Aviv University. Though no one expects spending to revert to the 1970s level, the trend is now likely to track upward. 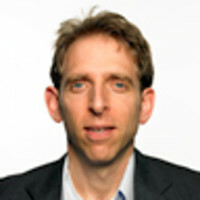 Dan Ephron has been Newsweek’s Jerusalem bureau chief since January, 2010. Previously, he served as a national security correspondent and deputy bureau chief for the magazine in Washington. His stories have also appeared in the Boston Globe, The New Republic and Esquire.